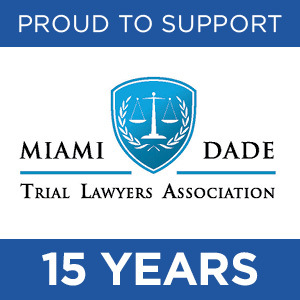 Injury Funds Now has renewed its sponsorship of the Miami Dade Trial Lawyers Association (MDTLA) for the 15th consecutive year. For 2019, we are sponsoring MDTLA at its upper gold level, and we are the only pre-settlement funding company supporting the MDTLA at this top tier level of commitment. Injury Funds Now is a Miami-based lawsuit funding company that provides non-recourse funding to personal injury plaintiffs in Florida and more than 30 other states nationwide. Unlike other lawsuit funding companies, we do not work with brokers, but instead work directly with plaintiffs and their attorneys to make sound decisions about funding. We assign a dedicated funding specialist to every case so that plaintiffs and their attorneys will have a single point of contact through settlement or judgment satisfaction. 24-Hour Turnaround, Minimal Paperwork and E-Sign – We make the application and funding process as efficient as possible, requiring minimal paperwork, allowing all documents to be signed electronically and providing funding decisions in as little as 24 hours. Conservative Funding and Low Funding Rates – We work closely with plaintiffs and their attorneys to ensure that we are not overfunding their cases. Additionally, we do not charge application fees, closing fees or many of the “hidden” fees charged by other companies. Compliance with Bar Rules – We are intimately familiar with the bar rules and ethics committee opinions regarding pre-settlement funding and referrals between funding companies and attorneys. If you have questions about this, we can point you to the applicable Florida Bar Association Ethics Opinion. Confidentiality – By handling all aspects of funding in-house, we are able to ensure that all client information is kept strictly confidential. The MDTLA is an association of attorneys who represent clients in personal injury cases and other types of civil litigation. The MDTLA is, “dedicated to the pursuit of justice, individual rights, access to courts, education, and trial advocacy,” and its member attorneys advance these ideals through skilled and persuasive client representation in state and federal court. The MDTLA and its member attorneys are also active in the local Miami-Dade community, hosting and participating in kids’ field days, judicial luncheons and other community outreach events. Learn more about the MDTLA. The MDTLA is a wonderful group of personal injury attorneys. We have gotten to know many of the association’s members over the past 15 years, and we have formed strong relationships with many MDTLA lawyers. We love working with lawyers who share our passion for helping accident victims achieve justice, and we take pride in offering plaintiffs and their attorneys the opportunity to pursue higher recoveries by removing financial stress from the equation. Ultimately, what we do at Injury Funds Now is help plaintiffs and their attorneys level the playing field. We look forward to getting to know and working with more MDTLA members in 2019, and we are excited for what 2019 will bring with our continued relationship with our existing friends at the MDTLA. If you have a client who could benefit from pre-settlement funding, or if you simply have questions about our non-recourse funding services, we encourage you to get in touch. For more information, call 1-866-68-FUNDS or send us a message online today.